Eight more and they can play a game of touch football - Reason Online: "In Maine, Obamacare's new high risk pool attracts just 14 enrollees." Legal Insurrection on Obama's presser: "Do not underestimate the ability of this man to appeal to our worst jealousies and envies, while telling us he is doing the opposite with a smile on his face." I didn't see the press conference but I read about it and the most striking thing is that Obama is voting "present" yet again. By law, the President is supposed to propose fixes to Medicare when the plan's trustees give a warning called the "Medicare Trigger" - Obama simply ignores it. By law, the Senate is supposed to submit a budget and the Democrats have not done so for nearly 800 days. Meanwhile the President's own "budget" amounts to a speech so vague that the CBO chief famously said "We don't estimate speeches." At every turn, this President seems piqued that he's asked to take some leadership. But he doesn't want to take positions, so he falls back into the same shopworn tropes of class warfare and industry vilification. This country is overspending $1.6 trillion a year and we're going to fight this by changing depreciation schedules for corporate jets? Utterly absurd. Extra - With the White House abdicating responsibility, Congress scrambles for Plan B. At least Obama has made solid plans for something. More - From Zero Hedge. And this - From Powerline: "Obama's performance exemplified his chronic inability to lead." For the good of the State, let's get biz-ay! Can we mandate that people have more children? Seems to me we could fix some of the demographic problems with SS and MediCare if only people had more children. I was thinking about the P.D. 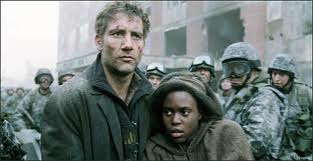 James book (and similar movie) "The Children of Men" set in a dystopian future of mass infertility. As the population ages and dies away, there are no children being born to support the creaky, desperate society. I know this is bit of a stretch but what if the government declared that – in the interest of regulating commerce and keeping the factories running with workers – birth control should be outlawed? Oh, heavens no, it would never come to that. That's crazy right-wing talk. Extra - The law blog Volokh Conspiracy has varying reviews of today's opinion. Bring me bagels - My wife recently came back from a trip down to New York City and the first thing I said to her when she came home to Massachusetts was: "Did you bring me any bagels?" She didn't, but she brought back Taylor Ham, so all was forgiven. Still, I don't know what makes a New York/Northern New Jersey bagel so great but the scribes at Slate have an idea. (H/T Maggie's Farm.) Now if I could just get a pipeline on Cluck-U-Chicken then all would be right in the world. That's what you get with a freshman senator - David Frum writes in "Obama is his own worst enemy" that "The job has overwhelmed the man." Um, yeah. Isn't that the knock on Obama from 2008 when the highlight of his resume was running his Presidential campaign? No wonder he wants to get back out on the trail, like Captain Queeg, reliving his magical moment. Ah, the strawberries...I mean Iowa. Good times. What debt? Let's fund some green jobs! - BBC News: "Is the US in denial over its $14 trillion debt?" Amtrak Joe wants a fast choo-choo. What is it now, Microsoft? - Geez, another round of automatic updates? I got work to do. First, a normalization of interest rates would upend any budgetary deal if and when one should occur. At present, the average cost of Treasury borrowing is 2.5%. The average over the last two decades was 5.7%. Should we ramp up to the higher number, annual interest expenses would be roughly $420 billion higher in 2014 and $700 billion higher in 2020. The 10-year rise in interest expense would be $4.9 trillion higher under "normalized" rates than under the current cost of borrowing. Compare that to the $2 trillion estimate of what the current talks about long-term deficit reduction may produce, and it becomes obvious that the gains from the current deficit-reduction efforts could be wiped out by normalization in the bond market. As Charles Krauthammer noted, this is all "heading towards a train wreck on August 2nd." The Democrats want huge tax increases on the wealthy they couldn't pass when they had wide majorities in both houses of Congress. Their other brilliant idea is eliminating tax subsidies (the same ones every other industry in America employs) for the oil and gas companies to save a whopping $2 billion/year - or roughly half of what we overspend every day. The Republicans are boxed in by the Tea Party freshmen who were elected to stop runaway government borrowing and spending. For the record, I think income tax rates need to go up such that everybody bears some burden for the federal government we "enjoy". (Then maybe more people will wonder if it's worth the expense.) On the other side of the coin, we can't realistically pare down our $1.6 trillion deficit without restructuring entitlement spending; it's a fantasy to believe otherwise. Despite the warnings from the credit rating agencies, it seems our *cough* leaders *cough* in Washington believe we can escape this debt crisis with just a "haircut." But unless dramatic action is taken - and soon - it's going to be haircut today, amputation tomorrow. That was unexpected - Zero Hedge says "Welcome to the recession: Manufacturing surveys imply US economy has entered second month of a (re) recession." In Realworld, political speeches would be about closing down unnecessary federal bureaucracies, dramatically downsizing or merging others, and ending makework projects and mission creep. The culture of excess that distinguishes the hyperpower at twilight would be reviled at every turn. But instead the “hugely persuasive” orator declares that there’s nothing to worry about that even more government can’t cure. In Speechworld, “no hill is too steep, no horizon is beyond our reach.” In Realworld, that’s mainly because we’re going downhill. And the horizon is a cliff edge. Jon Stewart noted that the topic of Obama's latest speech - the meager drawdown of a couple of surge troops from Afghanistan - was so inconsequential that he should have done a Facebook update instead. The CinC did the right thing - ABC News: "President Obama apologizes to family of fallen soldier." Romney in a homage to Thatcher - Slate finds that Mitt Romney (intentionally) copied a Tory ad campaign from circa 1979, right down to the UB40 form. Americans are gloomy - Contentions has the numbers: "Survey says: Economy will be same or worse a year from now." It's almost like there's a malaise over the country. Remember when Jon Stewart said the NY Times wasn't as biased as Fox News? - Good times. Hot Air: "NYT on Libya: Bailing out of a war before it's won will hurt U.S. credibility." Just readin' what they put on that teleprompter - When I read this story on Ace of Spades about the Commander-in-Chief flubbing a military honor, I said "can't be true" and even the Blackfive link only had a text description. But a little digging found the video on Military Times; be sure to check the comments below. Quote of the Day: "We don't estimate speeches." Of course, proposing a budget with numbers printed on paper means leadership and we all know how Obama feels about that. He outsourced debt reduction first to the Bowles-Simpson commission and then to Joe Biden; I can't help but wonder if the Republicans' walking away from the latest yak-fest is designed to finally force Obama to take ownership for a solution. Hanson posted that in the morning and by the end of the day, CNBC reported this headline: "Firms have a record $800 billion of cash but still won't hire." Where did I put my Oliver Peoples sunglasses? 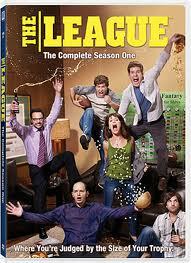 - New season of Burn Notice starts tonight. Yay! Some would say this is a self-indulgent post. Others aren't reading it anyway. Some would have America retreat from our responsibility as an anchor of global security, and embrace an isolation that ignores the very real threats that we face. Others would have America over-extend ourselves, confronting every evil that can be found abroad. We must chart a more centered course. Obama: the reasonable counterbalance against nameless extremists he invented. Extra - Stephen Green remembers it this way: "Here it comes! “Some would retreat from Nevada… ” Others would nuke the crap out of Holland…” “But I am the sane centrist!”"
Here comes stagflation - Zero Hedge: "Fed lowers GDP, raises unemployment and inflation estimates." Medicare, we hardly knew ye - Testifying before Congress, two Medicare trustees declared that an unreformed program means "ending Medicare as we know it." So, by all means, do nothing. Both but more of one - The director of the CBO writes that we need to raise taxes and slash spending to reduce the federal debt. But he also notes that while revenues have averaged around 18% of GDP for the past 40 years, total outlays are projected to be 24% of GDP which is 6% higher than the average during the same 40-year period. Extra - Doug Ross says Greece is the word. "Keep that kid safe - we need him to pay off the national debt." Here are some stories that fit together. First, the San Francisco Chronicle reports that the average city pension in San Fran pays more than the average worker earns. At least there are plenty of jobs to pay taxes. Not so fast: Companies leaving California in record numbers. Well, at least there will be a new generation of people to support the pensioners. Not so fast: "San Francisco losing kids as parents seek schools, homes"
New census figures show that despite an intense focus by city and public school officials to curb family flight, San Francisco last year had 5,278 fewer kids than it did in 2000. The city actually has 3,000 more children under 5 than it did 10 years ago, but has lost more than 8,000 kids older than 5. Just 13.4 percent of the city's 805,235 residents are younger than 18, one of the smallest percentages of any city in the country. In 1970, those younger than 18 made up 22 percent of San Francisco. In 1960, they made up 25 percent. A pension fund bankrupting a city? Why, that couldn't happen in America. Jobs that Americans will do...if they could - Robert Samuelson discusses how even though we have 9.1% unemployment, there are a good number of positions out there that employers can't fill. For good measure see: "Siemans chief warns on US skills shortage." The days of graduating from high school and getting a high-paying job in the factory are long gone. We're not gonna take it - In light of recent personal events, I found that this Boston Globe story about workers preparing to find new jobs hit home: "Unhappy but gaining confidence, more workers seek new jobs." "Even as companies slashed pay and increased workloads during the recession, many workers were happy just to have a job. Now, as the economy slowly improves, many disgruntled employees who waited out the worst of it are ready to jump ship." Actually, I was in first place near the end of today's race until Junior cut a tire with ten laps to go. So I'm going to stick with Secret Algorithm #3 for now and see if I can keep moving up. It's good thing that President Obama used to be a Constitutional Law professor because he knows what's what: "President Barack Obama decided he could continue the air war in Libya without congressional approval despite rulings to the contrary from Justice Department and Pentagon lawyers, according to published reports." Yeah, but how many Nobel Peace Prizes do those lawyers have? None, that's how many. Biden said that both sides have signaled what they might be willing to accept as part of a larger agreement but that they haven't tackled really tough decisions on health care or new revenues. He spoke to reporters after the eighth in a series of meetings aimed at producing an agreement on budget cuts that would accompany must-pass legislation to allow the government to keep borrowing to avoid a default on its obligations. Eight days and they haven't even started discussions on runaway entitlement spending which is poised to consume the entire federal budget. Instead, they've been jerking around with the 12% of the budget dealing with park rangers and Pell grants. This past week the Senate voted to end ethanol subsidies which account for $5 billion - almost as much as the federal government is borrowing every day - and the White House threatened a veto of even this. Meanwhile, the IMF is warning the U.S. on its humongous budget deficit and estimating lower growth rates because of debt, meaning less opportunity and fewer jobs for Americans. But, by all means, let's blow another $80 billion on "green" jobs which do not exist. Extra - From Doug Ross. More - Sheriff Joe gets tough: "Time to 'get real' in deficit talks." Yeah, sure, whatever. The lockbox is bare - USA Today: "Payroll taxes raid Social Security." Short takeaway: the payroll tax cut is making Social Security's finances worse and Washington is raiding other parts of the budget (and borrowing) to make up the shortfall. Stanley Cup update - Hey, who told the Bruins they can win in Vancouver? It's 3-0 for the B's after two periods and they're looking solid tonight. I probably won't be able to update from here on, but it's looking like the Bruins might win their first Cup since 1972. After the crisis - From Jim Lacey with "Entitlement Overstretch": "It is a sad state of affairs when one has to pin the long-term hopes of this great nation on a crisis so monumental that one has to count on the “day after” to return reason to the nation’s fiscal policy." Bruce Springsteen and "Neil Young" sing "Whip My Hair"
Legal stuff - Legal Insurrection has some commentary on the Wisconsin Supreme Court affirming the collective bargaining bill today. Unclear on the concept - Obama's super lamo-o job council has slashed a bunch of jobs. You know what that means? We need another commission. Losing the argument - In Opinion Journal, two lawyers for the states' case against Obamacare write "Why Obamacare is losing in the courts - The government's lawyers keep changing their arguments as each one is exposed as constitutionally suspect." Meanwhile, in the court of public opinion, "finding out what's in the bill" has not convinced Americans to support Obamacare. And on a non-governmental level - Megan McArdle has a good post about personal debt with "Should we care if people don't pay their debts?" "The answer seems to be "I don't want to pay, and as long as I'm willing to take the hit on my credit score, no one should judge me." Yet if this were the actual standard by which most Americans lived, would there be any market for unsecured debt? Or even secured debt for items that depreciate quickly? Seems unlikely." Well, that's just one man's opinion - Unfortunately, it's the opinion of the guy who runs the largest mutual fund in the world. PIMCO's Bill Gross says that Americas's financial state is "worse than Greece." That would Greece, the country where the bond is now rated "junk" status. Medicare: "Retiring Boomers, rising health costs are a frightening combination"
By 2020, the Congressional Budget Office estimates, Medicare’s main trust fund will be effectively drained, requiring a strict “pay as you go’’ system financed by payroll taxes and money squeezed from other federal programs, assuming the current structure of Medicare is kept intact. Longer-term projections point to multitrillion-dollar deficits for Medicare stretching late into the century, economists said. Social Security: "Waiting to address a shortfall could worsen problems, analysts warn"
Whatever solutions lawmakers choose, it’s better they act soon, economists said. Each delay compounds the program’s financial problems, which in turn would require more drastic tax increases, benefit cuts, or both. Of course, that's also true for Medicare and a host of other federal programs where promises have long out-paced reality. What will happen if we keep kicking the can down the road? "The clock is ticking in the debate over how to fix programs"
If something isn’t done relatively soon, economists say, higher interest rates, a weaker dollar, increased payroll taxes, and deep cuts to other federal programs are among potentially dire consequences that could mean slower growth, higher unemployment, and lower standards of living. I've said it before and I'll write it again: the problems in Europe don't need to be repeated here in America if we face up to our long-term problems and take positive, if painful, steps towards resolution. The sooner we face up to mathematics, the pain of reform can be spread over decades rather than the sudden shock of automatic benefit cuts. It's time to be adults. Waiting for the turnaround - Commentary: "A lost generation in the making?" Must be a coincidence - WashPost: "Twice in recent weeks, the United States provided Pakistan with the specific locations of insurgent bomb-making factories, only to see the militants learn their cover had been blown and vacate the sites before military action could be taken, according to U.S. and Pakistani officials." Anthony Weiner, American hero - You know who he's like? Martin Luther King Jr. Oh yeah. Meanwhile, the Congressman didn't know he was tweeting with minors when they talked about high school and asked him to the prom. It ain't me, babe. No, no, no, it ain't me babe - Marketwatch: "Many of us won't be able to retire until our 80s." I'm mortified by the low retirement savings for most Americans since it means either seniors are going to live in penury or the government is going to seize the nest eggs of more responsible savers (ahem) in the name of "fairness." Good intentions - Here's economist Greg Mankiw on the Center for American Progress's plan for health care equity: "That is, under the likely scenario that healthcare spending keeps rising faster than GDP, the Center for American Progress would give government the power to prohibit people from buying expensive health plans with their own money. That is not my idea of progress." Revenues down, entitlements up - Reason: "Another trillion dollars in debt (and we've still got four months to go.)" In the fiscal year, that is, borrowing money and sticking the grandkids with the bill. I am an ER doc in a large suburban hospital. Over my 20 years of practice, I have watched the welfare roles grow to twice what they were when I started. More troubling is how attitudes of the dependent have changed. Where once people were thankful for short-term help, they now seek to find every possible penny they can find, and now services are demanded: thank-yous are few and far between. It's so bad now, for example, that I recently had a Medicaid patient come in at 0200 by ambulance- for a pregnancy test...when I asked her why, she told me she didn't want to waste her gas, and she knew the ambulance and the ER couldn't refuse her. It's getting to be almost too much for me sometimes. I've talked to Congressmen and Senators about the abuse, and they are always "woking on it". Meanwhile, we have a patient who has been to the ER 1300 times since 2003 !! When I call the Medicaid office, they tell me there's nothing they can do. I'm convinced that the system is going to have to crash, and I'm really frightened about the people that believe it's their right to have others take care of their needs without a hint of personal resposibility. Don't worry, Obamacare will cut back expensive ER visits just like they did in Massachusetts. This is awful news via Zero Hedge: "30% of people with a 401(k) have taken out a loan against it: new all time record." I know times are tough and homeowners can't cash out on their houses anymore, but there are so many downsides that go beyond the obvious of raiding the fund that will keep you out of cat food after Social Security benefits get scaled back. Zero Hedge puts in the last word: "Luckily, Americans have demonstrated beyond a reasonable doubt that when it comes to abusing rainy day capital to satisfy trivial material needs, there is nothing to worry about. Nothing at all." After all, tomorrow is another day. I didn't mention this before but on this past Sunday I took my kids to their first ever Boston Red Sox game at Fenway Park. We took a tour bus into Boston (I'm not a fan of city driving) and took our seats in the right field, near the bleachers. Just as the game was starting, four guys made their way to the upper seats, each wearing a Vancouver hockey jersey. Vancouver had just gone up two-games-to-none in the Stanley Cup playoffs over the Boston Bruins and these guys were met with a chorus of boos. WELL. Since that game (in which the Red Sox beat the A's) the Bruins have won two games with a total of twelve goals to Vancouver's one (8-1 Monday and 4-0 tonight). Eleventh Circuit on Obamacare: "You gotta be kidding me." “I can’t find any case like this,” said Chief Judge Joel Dubina of the 11th Circuit Court of Appeals. “If we uphold this, are there any limits” on the power of the federal government? he asked. And at AoSHQ, it's noted that if the Framers of the Constitution thought the Commerce Clause could be expanded in this way, they would have also outlined the limitations of such a statute. Extra - Maggie's Farm: "Enumerated powers." Stay classy, Wisconsin - Althouse: "Wisconsin protesters disrupt Special Olympics ceremony." Because Governor Scott Walker was there and they got to dress up like zombies. "Every word [she] writes is a lie including 'and' and 'the.'" It's another Three Pinocchios for the Obama Administration. I swore I wasn't going to blog about Anthony Weiner but I will hold forth on the embarrassingly feckless "investigative" powers of the mainstream media. There's an absence of objectivity that's been building for years and should have shamed the media into reform after the National Enquirer nearly won a Pulitzer for exposing John Edwards. But it didn't and now they've been pwned yet again. While the talking heads were asking the Rep. Weiner the same questions and accepting the same answers, all the real information was coming to the surface on the blogs and e-media. Somehow Andrew Breitbart was collecting information that was escaping the putative skills of the Associated Press. While the NY Times was trying to figure out what a "DM" on Twitter meant, the Daily was reporting that all of Weiner's tweets - including the "hacked" ones - originated from a program called TweetDeck. It was on a blog that I found that Weiner had quite suddenly doubled the people he "followed" on Twitter in a transparent attempt to dilute his pool of young hotties. Ace and Patterico and others were asking questions and finding answers even though they never attended the high-falutin' Columbia Journalism School. ...that New York Times “news alert” — “Representative Anthony D. Weiner Acknowledges Communication With Women Online” — nobody who could write that headline with a straight face should be in the news business. It’s one thing to lose the story to Andrew Breitbart because you’re too snooty to sully yourself with Weiner’s briefs. It’s another thing to pile on and support Weiner’s slandering of Breitbart out of ideological solidarity. But, when the congressman himself is at a press conference admitting he’s e-mailed explicit photos of himself around the Internet and you choose that headline to convey the story to your readers, you’re basically telling them you’re the paper for court eunuchs. Kudos to Jon Stewart, who doesn’t sugar-coat the embarrassment at all — to the apparent delight of his audience, who get kudos of their own. How can the national news media ignore the many allegations of corruption at ACORN, which gets millions of dollars in federal funding, and allow a couple of independents with $3,000 and a bad wardrobe scoop them on the undercover story of the year? It’s easy when newsrooms are more concerned with political direction than truth. With the Weiner affair, it's now altogether obvious that the mainstream media is either incapable or unwilling to do the job of investigation and reporting. The online media is going to fill the vacuum. NASCAR Fantasy League: Save me, Microsoft Excel! So here's the thing: I'm in a NASCAR fantasy league and, well, I stink. I've had exactly one decent week and the rest of the time I'm scraping the bottom of the rankings. I'm thinking of sending ransom letters to the various teams warning them that unless I get $1000 in unmarked bills, I'll pick them for my lineup, whereupon they'll inevitably crash or their engines will explode. It's truly bizarre the bad luck that follows my teams. So here's what I'm going to do: no more "gut" picks, no more news feeds, in fact no more free will. I've developed a ranking system based on driver stats at a given track and them I'm plugging them into a spreadsheet to tell me who I should pick. For those of you uninitiated in fantasy leagues or the NASCAR league in particular, you have a salary cap where you have to balance your good/medium/struggling drivers. So you want to maximize your driver rankings but stay below the salary cap; this is the program I've set up. Microsoft Excel (for example) has a macro called "Solver" although I'll be using the fantastic Open Office spreadsheet for the same calculation. This is an experiment which I'm going to try to stick with for at least ten races. I've set my team for tomorrow's race at Kansas and, frankly, I wouldn't have picked three out of my five drivers. This will be interesting. Update: 7th place out of 10. Ugh. Things that can't go on, don't - Zero Hedge: "Social Security - the Liberals are killing it." The "worst case scenario" for Social Security's finances is the new reality. If at first you don't succeed, spend spend again - The Hill: "Dems double down on new spending after discouraging jobs report." Of course. It's unanimous - DNC Chair Wasserman-Schultz is a lying liar about Paul Ryan's Medicare Plan, so says the Associated Press, Factcheck, and the WashPost's Fact Checker who gives her claims "three Pinocchios." Fox News: "Employers add just 54,000 jobs in May, unemployment rate rises to 9.1%" This latest news is going to - has to - lead to a whole new spin for the White House where they search out new targets to blame. Extra - Peter Wehner also evokes Jimmy Carter. And this - Obama's re-election slogan is "Help me finish the job"? You've done quite enough. The British parallel - The UK's National Health Service (NHS) is in trouble and Stata-Sphere sees similar problems for Obamacare which has hit a new low in favorability. The president has chartered a course of remarkable cynicism in the way he attacked the Republican plan and presented none of his own. He hasn’t offered anything. And the Senate, for example, hasn’t even offered a budget - which is required to do by law. The Democrats are placing a bet on cynicism. They might win the election on that. Businesses and the markets hate uncertainty and yet this is the modus operandi of the Obama Administration. There's been no budget from House Democrats, which sparked the drawn-out "continuing resolutions" of early 2011. There's been no budget from the Senate Democrats for 762 days, in violation of the law. And there's no budget from the President who is a thousand times more concerned with re-election than he is with dealing with the nation's problems. Here's the cold fact: Medicare will go bust in 2024 and that's assuming that Congress will not pass the "doc fix" to cut payments to doctors; otherwise Medicare is broke in 2016, only five years away. Social Security goes belly up in 25 years. And by "broke" I mean the programs - by law - can only pay out what's coming in from payroll taxes meaning that either benefits will need to be slashed and/or taxes will go way up. Cold fact #2: only one political party seems willing to face up this reality, while the other wants to demagogue these entitlements into their respective graves. More - As in more uncertainty. 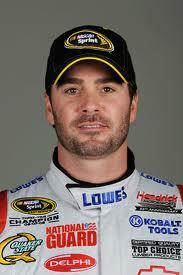 It's NASCAR driver Jimmie Johnson. That wasn't so difficult. Western Massachusetts update - It's been a strange day as a tornado touched down in Springfield before moving east along the Mass Pike. My commute takes me through Springfield north on I-91 and there were dozens of trees with splintered tops, stripped billboards, and toppled business signs. Extra - That was fast: a Wikipedia page on the 2011 Massachusetts tornado outbreak. "Shockingly weak" is the new "unexpected" - CNN: "Shockingly weak job growth in May." Serpentine, Shelley! Rest in peace, Peter Falk.